Coca-Cola was first introduced on May 8, 1886 by a pharmacist named Dr. John S. Pemberton. The recipe for Coca-Cola removed the alcohol present in Pemberton’s previous drink recipe for Pemberton’s French Wine Coca, as prohibition legislation had been passed in Atlanta, Georgia. The original recipe was initially sold as a patent medicine in soda fountain stores with the claim that it would be a remedy for ailments including heartburn, nausea, and headaches. Dr. Pemberton’s bookkeeper, Frank M. Robinson, is credited with designing the trademarked logo and with naming the beverage “Coca-Cola”. Prior to Pemberton’s death in 1888, he sold portions of his company to a few different parties with a majority of the business being sold to a local Atlanta businessman named Asa G. Candler. By 1889, Candler acquired the rights to the formula as well as the “Coca-Cola” name and brand. He incorporated The Coca-Cola Company in 1892 and expanded distribution of the Coca-Cola syrup concentrate to soda fountains beyond Atlanta. Candler also promoted the drink by giving away free drink vouchers and outfitting pharmacies and soda fountains with items bearing Coca-Cola branding. The marketing and promotions of Coca Cola led to a significant increase in demand, and in 1894 a Mississippi businessman by the name of Joseph Biedenharn began bottling the beverage, making it portable. By 1895, Candler had built syrup plants in multiple cities including Dallas, Chicago, and Los Angeles to deal with increasing demand. Although Candler was a savvy businessman, he did not realize that the future of Coca-Cola would be in portable bottles rather than soda fountains. In 1899, Candler sold the exclusive rights to bottle the beverage to two lawyers named Benjamin Thomas and Joseph Whitehead. As the beverage continued to gain popularity in bottle form, counterfeit Coca-Cola beverages began being produced by copy-cats. This led to The Coca-Cola Company advertising its product as genuine and running campaigns to urge the public to “demand the genuine”. In 1916, the first contour-shaped bottles began being manufactured. This signature bottle design allowed The Coca-Cola Company to distinguish its product from the imitations. In 1919, The Coca-Cola Company was sold to a group of investors led by a man named Ernest Woodruff. In 1923, his son Robert W. Woodruff was elected President of the company. Woodruff expanded the company and brought Coca-Cola to the rest of the world. 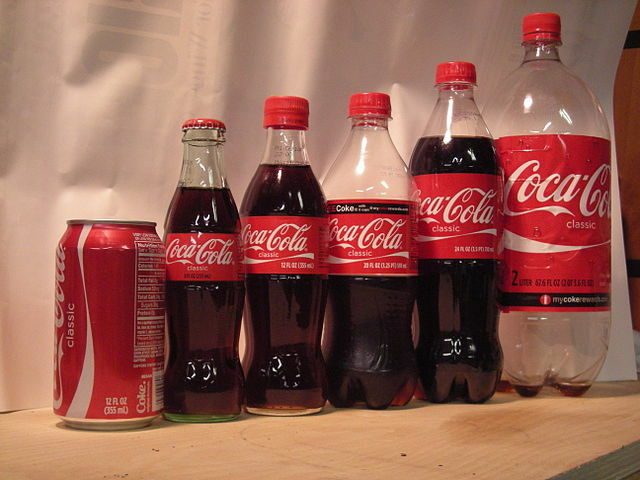 Coca-Cola began distributing bottles as “Six-packs”, encouraging customers to purchase the beverage for their home. 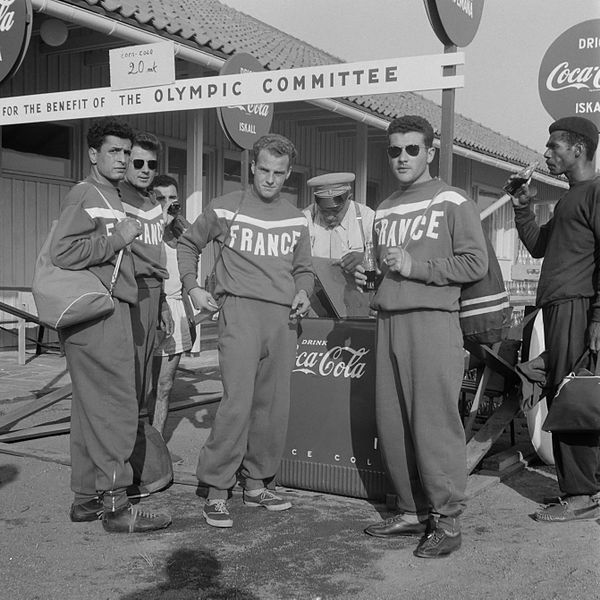 In 1928, Coca-Cola was introduced as a sponsor for the Olympics Games, giving the company even more international exposure and starting a tradition that continues to this day. In 1941, the U.S. entered World War II, and the demand for Coca-Cola from U.S. soldiers serving overseas increased tremendously. 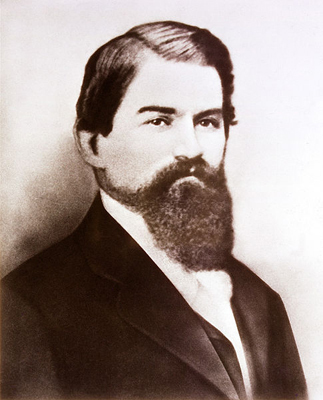 Under Woodruff’s leadership, The Coca-Cola Company began building bottling plants overseas to meet demand. From the mid 1940s until 1960, the number of countries with bottling plants almost doubled, laying the foundation for Coca-Cola to do business abroad. Fun fact: From 1886 to 1959, the price of Coca-Cola was fixed at five cents. After World War II, international consumers of Coca-Cola requested more options when purchasing the beverage. 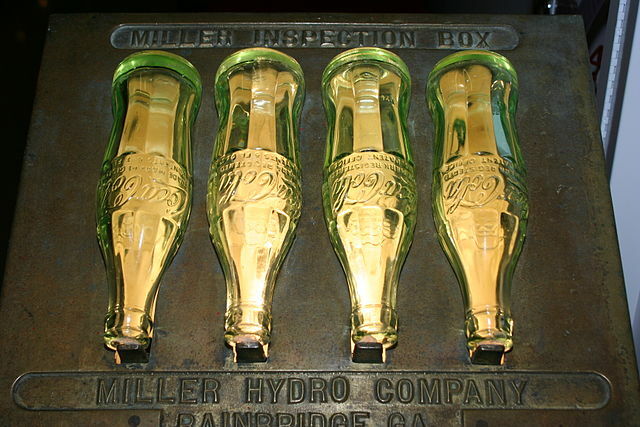 Up until the mid 1950’s, Coca-Cola was sold in a 6.5-ounce glass contour bottle. This finally changed when Coca-Cola began producing bigger sizes in 1955 and eventually metal cans in 1960. By 1977, the company began producing its first plastic 2-liter bottles. Advertising has always been an important part of the The Coca-Cola Company. Throughout the years, the jingles and famous slogans cultivated an image of Coca-Cola as being a fun and refreshing beverage. This was showcased in Coca-Cola’s famous “I’d Like to Buy the World a Coke” commercial released in 1971. Fun Fact: Santa has been featured in Coca-Cola Advertisements since the 1920s. In 1981, Roberto C. Goizueta became chairman of the board of directors and CEO of The Coca-Cola Company. Goizueta organized the various U.S. Coca-Cola bottling operations into a new public company, Coca‑Cola Enterprises Inc. Goizueta was committed to innovation, and under his new leadership the company launched Diet Coke, the first extension of the Coca-Cola trademark. Diet Coke was very popular and within a few years it became the most popular low-calorie soft-drink in the world. After the success of Diet Coke, Goizueta began an initiative to reformulate Coca-Cola to develop a new taste. In 1985, New Coke was introduced as the first change in the formula in nearly 100 years. New Coke was a success in taste test trials, but the public quickly demanded that the company revert back to the original formula, which was brought back to the market as Coca-Cola Classic. New Coke was eventually discontinued in 2002 after unimpressive sales. Coca-Cola has become one of the most recognizable brands and trademarks in the world. With over 1.7 billion servings of Coca-Cola products being served each day, Coca-Cola continues to be one of the world’s most ubiquitous beverages. Are you visiting Atlanta, Georgia? Visit the World of Coca-Cola museum! Read more about Coca-Cola’s history on the Coca-Cola Company website.